Just ask our 4500+ members! Joining Songsalive! not only gives you unlimited access to our in-person workshops and events, but our entire series of educational "Songcraft" videos, songwriting resources, music industry connections, and so much more. LEARN MORE! 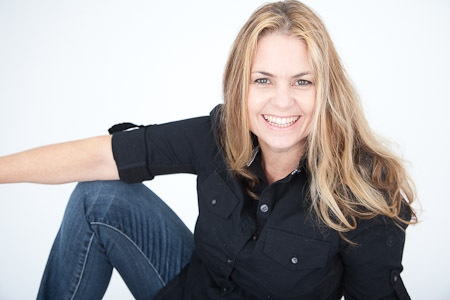 Gilli Moon, President and Co-Founder, Songsalive! ﻿* Have you written a bunch of songs but don't know what to do with them? * Do you want to increase your song craft and become a great songwriter? Perhaps a Hit Writer? * Do you feel limited by not knowing the right people or avenues to get your songs out there? * Are you looking for collaborators, such as a co-writer, musicians, lyricists or singers? * Are you looking for more resources and tools to "up your game" as a successful songwriter or composer? Don't worry, it's not your fault. The music business is tough. Becoming a successful songwriter on your own is not impossible, it's just hard. ​Having the tools and resources can make a whole lot easier. Come to a Songsalive! Song Critique Workshop or Performance Showcase, or find out about some awesome networking and learning events in your community. You can also apply to perform at any of our Showcases worldwide. Let your talents SHINE at Songsalive! with our Songwriter Of The Year Award, Pro Member Spotlight, and Self-Promotion tools. We get it. You're in a band, or you're on your own, working hard to get your songs out to the world and your talents to the ears and minds of fans and industry. But it can be hard getting heard. That's why we created our program, SHINE. Stop waiting around and re-direct the spotlight... to you. The University for Songwriters - self-led online learning. 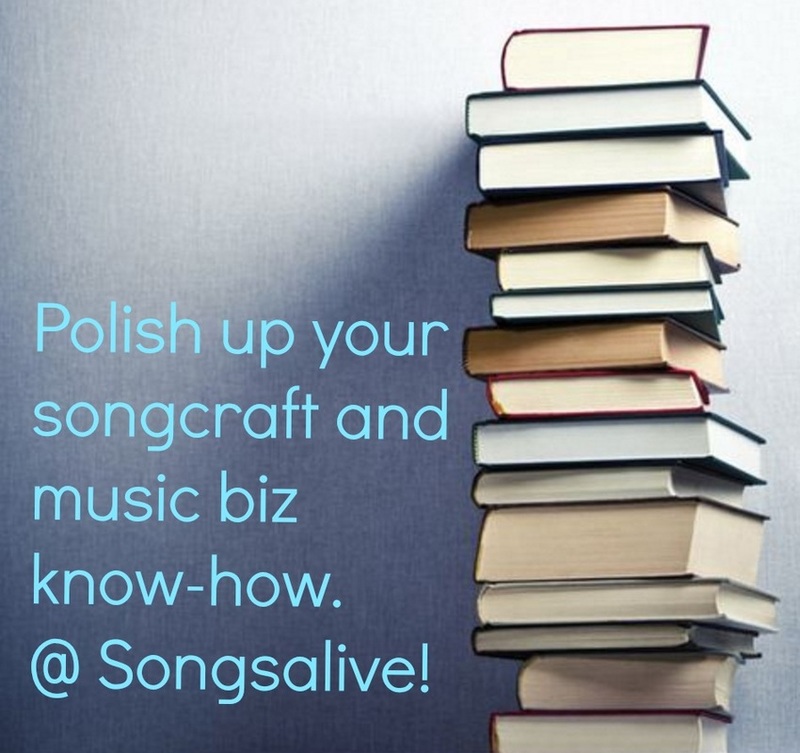 Polish up your songcraft and up your music biz know-how. This is one of our favorite and coolest member benefits! ​Take control of your learning and power up with some light and heavy reading!​ Self-service access to some of the best songwriting and music biz articles as well as best seller books where you can quick start your own education. Watch videos, do courses, and listen to audio podcasts online from our Master teachers. Topics include songwriting structure, lyric writing, songwriting opportunities overseas, publishing, producing, getting songs placed in Film and TV, and so much more. Plus, we offer a multitude of training videos and podcasts that inspire, uplift and engage you. New videos added regularly. Songcraft Video pages start opening up the longer you remain as a member. EARN a badge every week you are a member and unlock new opportunities and content! The spirit and energy of Songsalive! is great. Their genuine desire to help songmakers find avenues of expression and income is terrific. Thank you for creating a space for indie artists, like me, to have access to the world of songwriters, so we don't have to be signed to publishing companies in order for our songs to be heard. You've created a priceless platform for all of us. "Songsalive! is a great place to improve your craft in an honest, supportive environment. You can pick up great perspective on your material. I always enjoy speaking there." "I love the spirit of Songsalive! It provides avenues to learn for me that I might otherwise not have found. It is also amazing to me that in a big city like LA, Songsalive! helps to build a recognizable musical community. Almost anywhere I go now related to music I see musicians I have met through Songsalive!" Songsalive!, run by volunteer songwriters for songwriters, is an official non-profit 501c)3) public benefit charity organization, and is dedicated to advancing and supporting YOU the songwriter, composer. We've been going since 1997! That's shows longevity. You can sign up easily and try it out with instant access, and as it's month to month, you may cancel any time. Heck, we've stuck around, maybe you'll stay a while too. Looking forward to supporting your songwriting dream! We're so sure you'll see the value of Songsalive! Pro Membership, we'll let you try it for just $1 for 10 days, with full privileges. The Songsalive! Facebook Group is included in your membership: Get the latest opportunities posted within the Group, RSVP to events, collaborate with and find other like-minded artists and songwriters AND you can utilize our classifieds section to BUY and SELL music equipment and other items to further your career. WHY IS SONGSALIVE! FOR YOU? LIKE-MINDED COMMUNITY. NO NEED TO DO IT ALONE. YOU ARE SURROUNDED BY KINDRED FOLK WHO CAN INSPIRE YOU AND BE INSPIRED BY YOU. INSTANT ACCESS TO RESOURCES AND OPPORTUNITIES. NO MORE EXCUSES ABOUT WHERE YOU LIVE OR WHO YOU DON'T KNOW. ALL WITH THE CLICK OF A MOUSE. SUPPORT NETWORK 24/7. WE'RE HERE FOR YOU TO ANSWER QUESTIONS AND GUIDE YOU IN YOUR CAREER. WE PUSH YOU TO SUCCESS. SIT IN OUR 'HOT SEAT' AT OUR SONG CRITIQUE WORKSHOPS AND YOU'LL SEE WHY. YOU TAKE CONTROL OF YOUR FUTURE. LEARN, TRAIN, ENGAGE, EMPOWER! By signing up you will join Songsalive! as a member for $1, for 10 days, upon which you're recurring payment will only be $120/year ongoing. You can cancel anytime. Join Now! want more information before joining?